Removing soot from the inside of the stove improves energy efficiency of the stove. And inspection is to ensure the safe operation of your wood stove. 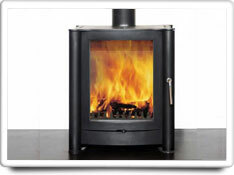 NOTE: The tasks and timings shown here for your Wood Stove are based on a single-family home (owned), located in Massachusetts, United States, with priority set at ‘1 star' or higher, for all possible goals. If you set your personalization differently in your Home Wizard app, then you may get reminders for different tasks and timings in your recommended home care program for your Wood Stove. Soot and slag should be cleaned from the inside of surfaces of the stove, as soot reduces the efficiency of the hot plate. Clearance around the stove: Check to ensure that combustible materials and surfaces (furniture, drapes, floors, walls, etc.) are sufficient distances away from the stove. Stove pipe: Examine the stove pipe for cracks, leaks, and signs of corrosion. Repair as necessary. Door: Check the sealing tightness of the door. Check the security of the door locking mechanism. Repair as necessary. The benefits of this task are relatively high. Doing this task can help prevent house fires, carbon monoxide poisonings, etc. The cost of this task is relatively low. It is estimated that this task should only take about 30 minutes to complete, and the task is relatively easy to do. No specialized tools are needed, unless repairs are required.